When a Mighty Deal is called a Gigantic Bundle, you just know it’s going to be big. And that’s exactly what this Alienvalley deal is: Chock full of 1000s of design graphics. 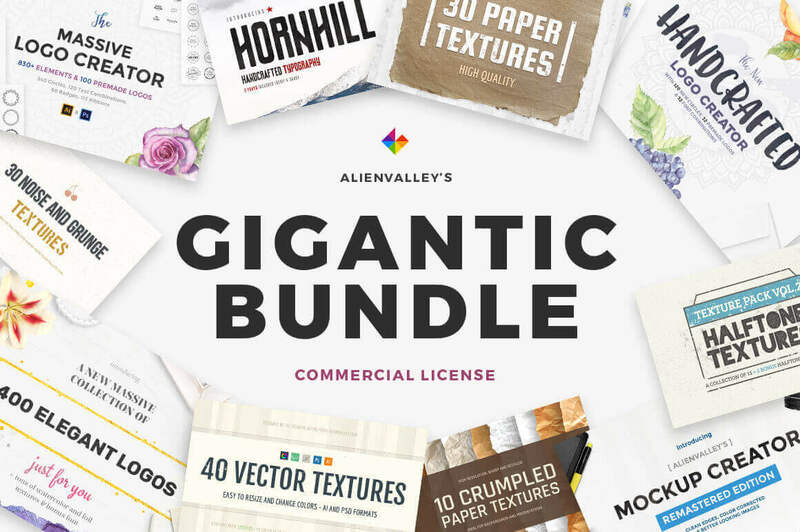 You’ll get 400 premade elegant logos, 200+ textures, multiple typefaces and both a nifty Logo Creator and Mockup Creator to quickly and easily whip up hundreds (or is that thousands?) of creative results. $19 instead of $110 – Get it now! 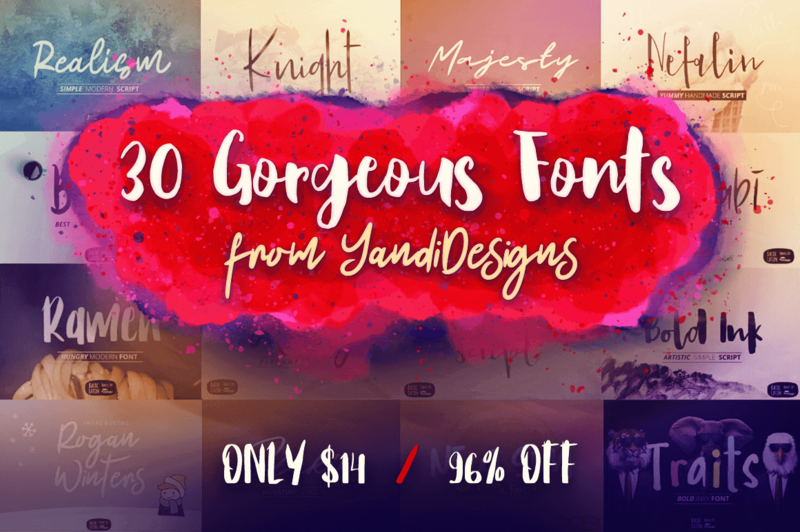 If your projects are desperately in need of a fresh look, then cast your eyes on this collection of 30 gorgeous fonts created by YandiDesigns. Mix and match styles with these beautiful brush stroke typefaces that are the perfect answer to any project from logo design to wedding invitations. $14 instead of $362 – Get it now! Another Mighty Deals exclusive coming your way! Zeune Ink Foundry is offering up a fantastic font collection of 4 High-Quality Classy Typefaces at one incredibly discounted price. 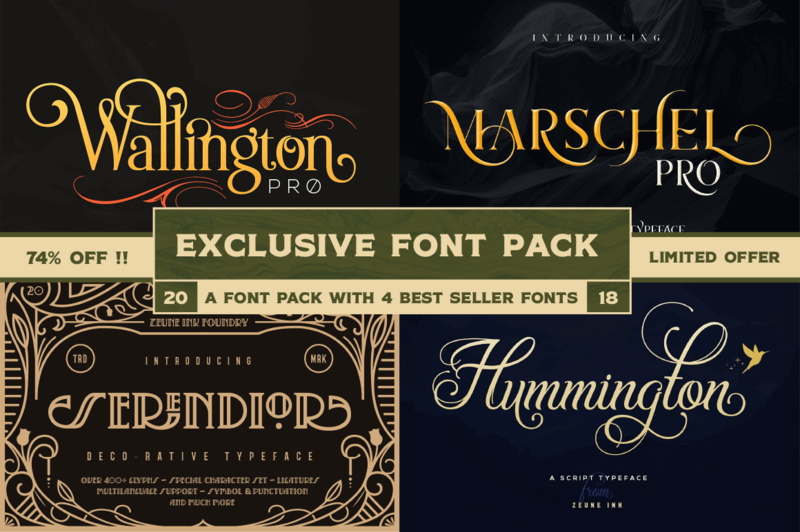 Designed to create elegant typographic works, this collection is overflowing with OpenType features and characters so you certainly don’t want to miss it. Especially considering they all come with an extended license of use! $9 instead of $94 – Get it now! Showing off a logo or stationery design is standard fare for most graphic designers. But if you really want to blow your clients away, you’ll offer them up a slew of brand designs in a full-fledged brand book! Get higher value for your work without spending days putting it all together. Instead, use these gorgeous Brand Book templates from ZippyPixels to present your designs in a truly stunning manner. And it only takes a few hours! 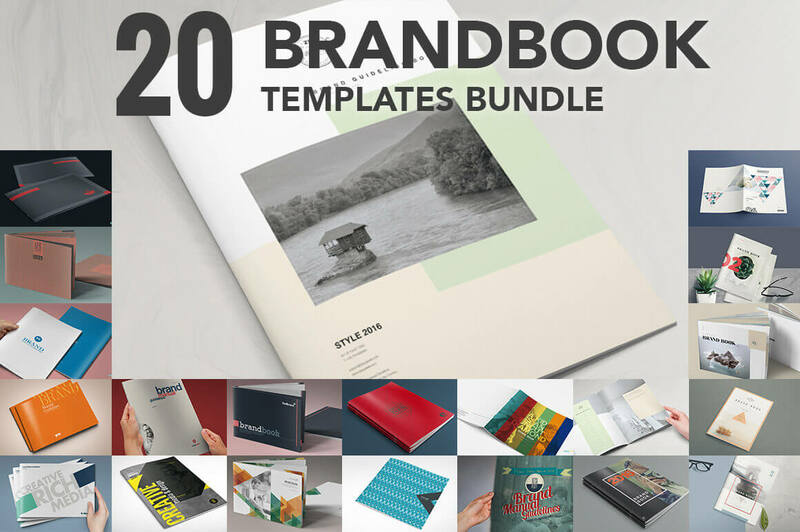 With this incredible Mighty Deal, you’ll get 20 High-Quality Brand Book Templates that are print ready and simple to customize with your info and designs. Exclusive! You won’t find this amazing deal anywhere else on the Interweb! So stop looking. 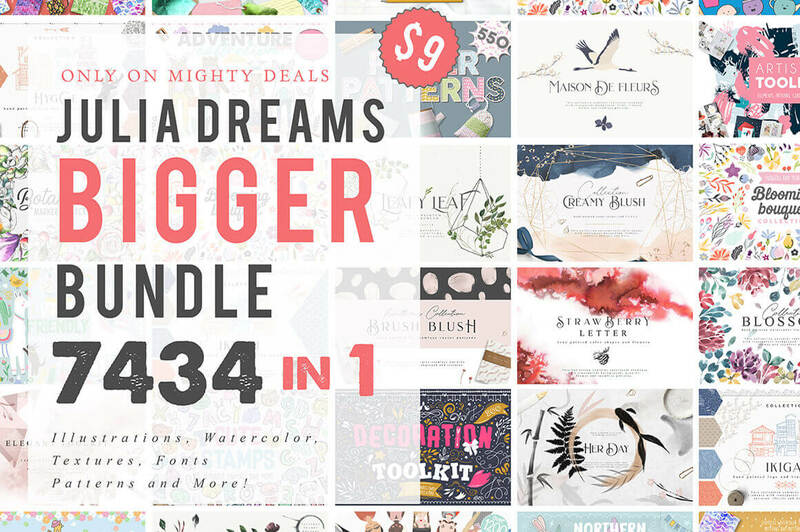 Instead, feast your eyes on the Julia Dreams Bigger Bundle, which is just bursting with more than 7400 professional design elements. We’re talking illustrations, textures, fonts, toolkits, watercolors and more. From adorable to colorful to realistically detailed, this set has you covered literally from head to toe. And at only $9, you’ll be kicking yourselves tomorrow if you pass this one up today. $9 instead of $1800 – Get it now! 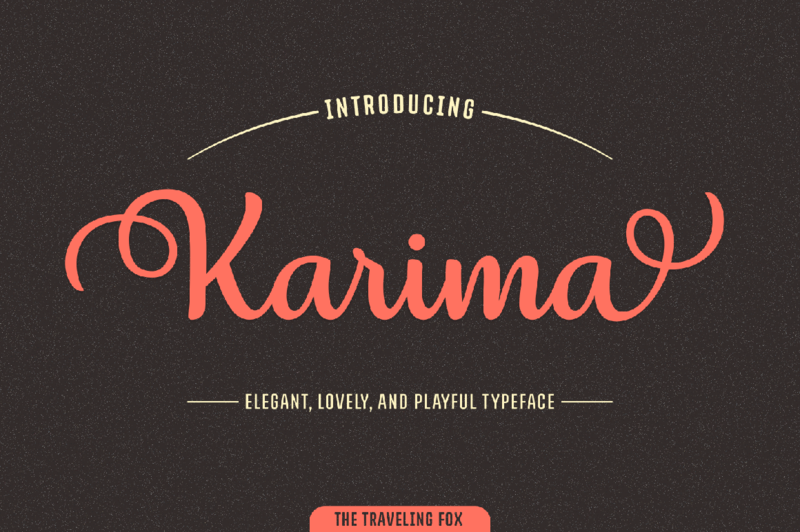 If you want to impress your typeface toolbox (and your clients, of course! ), grab hold of this discounted deal today! The stunning Karima Script is as elegant as it is curvy. Flowing with smooth, legible letters, Karmia features a regular and italics version, alternates, swashes and ligatures and more, all adding up to more than 1,000 unique glyphs. That’s some serious flexibility in a font. $7 instead of $20 – Get it now!